I’ll never know what it’s like to be a younger sibling. Growing up, my personal heroes were ones well beyond the scope of my immediate family. At their closest, they were charming upperclassmen, and with the manner in which both my junior high and high schools stratified themselves, they may as well have been on the moon. On my younger brother’s good authority, it’s indistinguishable from hero worship. As the eldest, hearing tales idolatry from your younger sibling is awkward to say the least, and completely unrelatable to your personal version of the same history. By the same token, my own version of our childhood was full of annoyance at my brother’s existence along with fierce feelings of protection. The Rolling Girls takes these simple but strong emotions and manages to pack it in a revisionist Warring States-era history that bursts with color and style. Between frenzied fights, explosions, and dastardly amusement park plots, The Rolling Girls‘ most impressive moment arrived quietly at an evening stoplight as a conversation between two sisters. The setup is simple, as Nozomi Moritomo is presented to her audience through visuals and in-universe conversations, with only a small bit of exposition in the introduction of the series. She’s energetic, hapless, and wholly average. 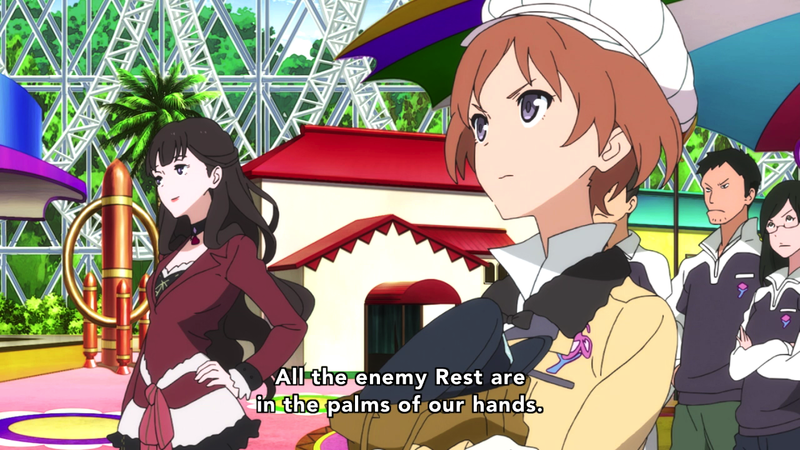 In a world where young people are sorted into “Best” and “Rest,” Nozomi is firmly a Rest, both figuratively and in actual job title. Photographs of her childhood depict a stereotypical sibling relationship between Nozomi and her older sister, Masami Utoku, aided by Nozomi enlisting in the same organization where her sister is a higher-up. This is the response given by Nozomi, as she insists to her mother that it’s not about being in her sister’s presence, but aiding her cause. I received a similar response from my brother growing up when he would inevitably break something of mine by accident, or hurt himself accidentally while trying to do something for me. Naturally, Nozomi finds herself in trouble on the first day, when she tries to help by bringing her sister food on the battlefield, blissfully unaware that her sister is the sentai-suited Best, Matcha Green. There is an easy line to be drawn between actual superhero and older sister, depending on who holds the pencil. 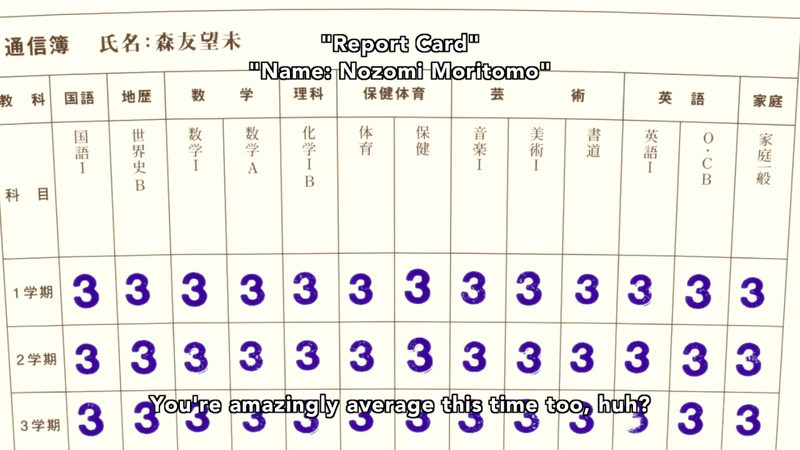 Nozomi already views her sister as a hero, while living an average life herself. Masami sees Nozomi as anything but average, and wants to protect her like a hero, simply because she’s her older sister. That night, on their way home, the two stop at a red light. 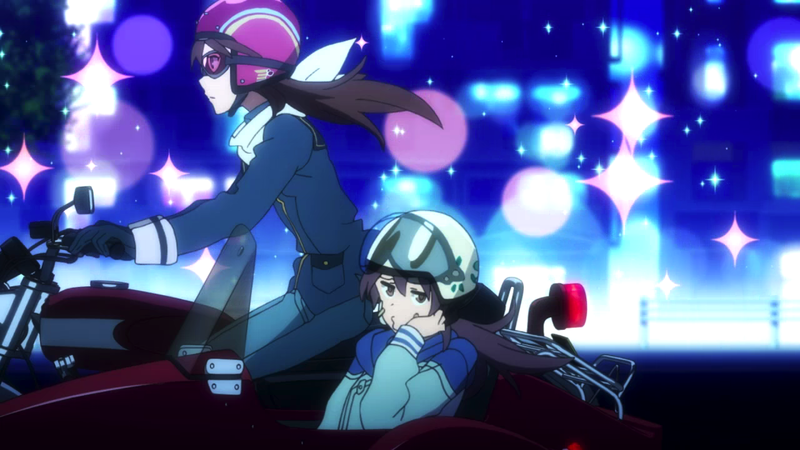 It’s easily the slowest part of an otherwise frenetic episode, as the two are bathed in cool tones while Masami carefully drives the speed limit with her younger sister in the sidecar of her motorcycle. As Nozomi pouts, there’s a small flashback to a traumatic event in both of their pasts that alludes to Nozomi nearly drowning, while Masami yells helplessly. You can’t always prevent your younger sibling from doing dumb things, particularly when they moonlight as your shadow, mimicking your every move. There were many times that my brother was hurt because of me, and while I didn’t bear responsibility for those circumstances, I still felt horribly guilty afterwards. When Masami tells Nozomi to avoid dangerous places from now on, Nozomi incorrectly mistakes her sister’s concern for standoffishness. Masami is quick to correct her by simply stating, “That’s not it.” before a small pause. She then changes the subject to include something that only her and Nozomi understand, shutting out the audience while allowing the sisters’ relationship with each other to breathe. 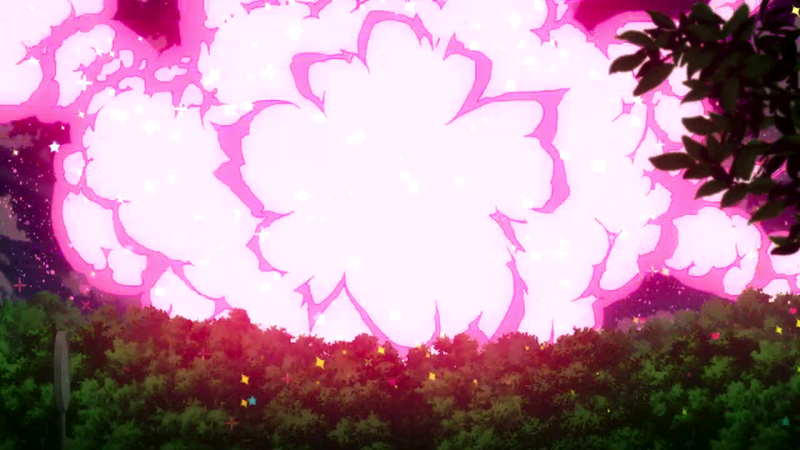 In the loudest, most explosive premiere of this season, it was this quiet moment that made The Rolling Girls truly sparkle. 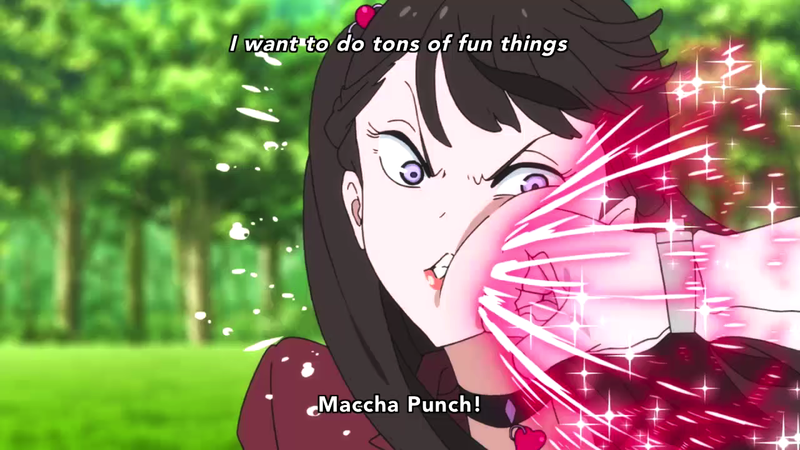 For all of her actions as Matcha Green, Masami was already a hero to Nozomi. Nice post! This episode whizzed by so fast that I couldn’t gain my bearings or tell what was going on, though I got by on the spectacular animation. I would’ve just believed you that they were sisters until that edit since I honestly wouldn’t have been surprised if I somehow missed that lol. I too am an eldest sibling, in my case among three brothers, and I certainly know how much my brothers have always looked up to me. I was never annoyed with my brothers though, and in fact I typically dragged them into anything I was doing (and I still do almost every day), so I can’t totally relate to the half-standoffish sibling relationship; but I certainly can relate to the feelings of wanting to protect my younger bros. I knew that their family names were different, but assumed different parents or something. 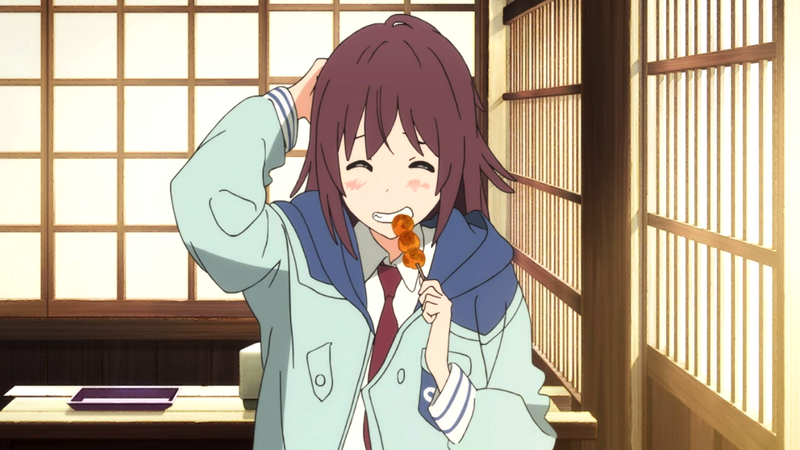 As far as we know – to its credit, Rolling Girls was fantastic at dishing out small details without telling the viewer or holding their hand – Nozomi and Masami are as sisters. Seemingly, Nozomi was raised by Masami’s family from a young age, likely due to whatever happened in that small flashback. 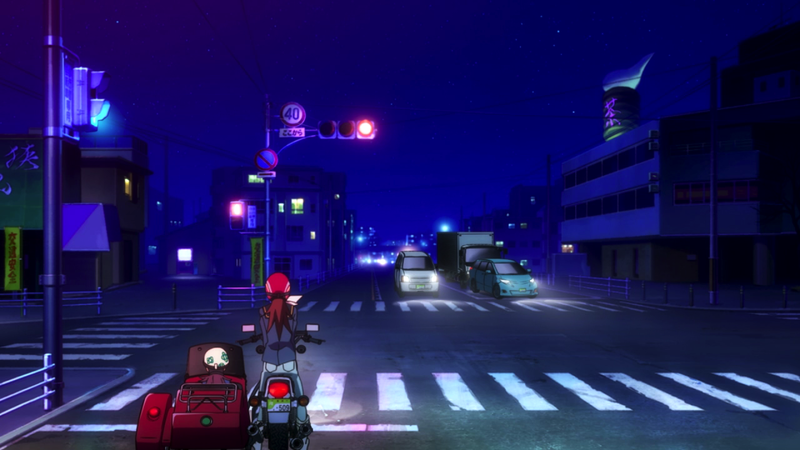 This is what made Rolling Girls so exceptional for me, not only did it hit the high, fast-paced stuff, but it also nailed a quiet moment with genuine emotional nuance. Not many shows can do that well. Oh lawdy, sibling complexes are my kryptonite. Yukino and Haruno in Oregairu, and especially Michiko and Atsuko’s actions in Michiko and Hatchin. I’m coming from the perspective of a younger sibling not that close to my elder, and man, that perception of standoffishness from your elder sibling can feel like a knife to the gut, no matter the reality of their intents, or how many times you think you’ve come to terms with how youve developed as individuals. I’m calling BS on that “I don’t want to be with her, I want to help her,” statement, though. Perhaps Nozomi’s forced to frame it that way due to the inescapable Best/Rest designations making the ideal scenario impossible, but emotions towards elder siblings is a mixture of wanting to be them, following in their footsteps, wanting to surpass them, to outshine their shadow, wanting to be their equal partner, wanting to be their respected rival, wanting the best for them so they can be happy, but also so that we still have something to chase. Helping might be the most that she can do right now, but I’ll be damned if she doesn’t wish every day that she was a Best, too, if only for the chance to stand with Masami as a true comrade, and not a thing to be protected. At any rate, a place in the motorcycle sidecar is THE WORST SCENARIO.